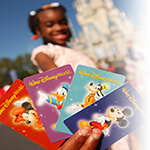 Are you planning a family vacation to Orlando? Here are some quick but essential tips for visiting Orlando. Each of these is designed to help you save money, beat the heat, and avoid the crowds! So that you and your family can get the most out of visiting the world’s most popular family vacation destination! 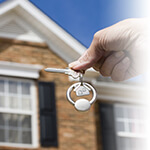 Accommodations can be the single largest expense when it comes to an Orlando vacation…. but only if you stay in a hotel! For a seven-day, medium grade, two-room hotel stay, you can expect to pay around $1,700. That kind of bill can leave you feeling more stressed during your vacation than you were before you left! For the same seven-day stay in a three-bedroom vacation rental – you could pay less than $800 – even after taxes and fees. That’s over 50% savings on lodging alone; money you can apply towards Orlando attractions and entertainment. Be ready for the heat. Part of the reason Orlando is such a popular family vacation destination is the beautiful year-round weather! If you decide to visit during the summer months, the heat can get pretty intense. 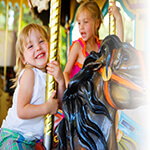 If you come prepared, then you will be able to enjoy the entire day at the theme parks. A few tips to remember: bring plenty of bottled water to the theme parks, be sure to wear light, breathable cotton fabrics and apply sunscreen (at least SPF 30) before leaving home in the morning and reapply every 3-4 hours. In terms of vacation expenses, dining comes in right behind theme park tickets (with travel costs third and accommodations fourth!). There is usually a higher premium on food in popular tourist locations. If you plan the right way, you can enjoy a few meals inside the theme parks without sacrificing a big chunk of your vacation budget. If you stay in a vacation rental, you’ll be able to cook at home and bring plenty of snacks to get you through a day at the park. Since you’re having breakfast and dinner at home, this also frees you up to enjoy lunch at whatever theme park you’re visiting without worrying about the extra cost. If you don’t want to cook though, you can still save money on dining by bringing snacks and water to the theme parks, and enjoying larger meals at more affordable Orlando-area eateries. While Orlando offers a wonderful vacation experience any time of year, when you decide to travel can have a big impact on your trip. Traveling during the summer means you’ll find the warmest weather, but also the biggest crowds at Orlando’s most popular theme parks, like Walt Disney World® Resort and Universal Studios. If you decide to visit any time between the holidays from November-January, temperatures will be a little cooler (averaging around 71 degrees), but most parks and attractions will have significantly fewer visitors and shorter wait times. Different times of year also offer different experiences, as many of Orlando’s parks host special events for Christmas, New Years and other major holidays. With so many exciting things to see in Orlando, it’s tempting to try to pack your schedule to the limit so you can experience everything. But if you over-commit and try to see every popular central Florida attraction in one trip, it can prevent you from experiencing the places you do visit to the fullest. Walt Disney World® Resort, Universal Studios and the Wizarding World of Harry Potter are all fantastic attractions, but it can take three to four days just to see all of Walt Disney World’s parks. This doesn’t even take into account all of the other wonderful things there are to see in Orlando outside the parks. Before you come, talk with one of our Guest Services Concierge Team for help and guidance on planning your vacation – for FREE! This will ensure everyone has a great time in Orlando and leaves feeling satisfied about their vacation. While there is plenty to see in Orlando, much of it is reasonably spread out over a large area. Orlando offers a variety of public transportation services like shuttles, buses and taxis, but they can get expensive if you rely on them to get around every day of your trip. Renting a fuel efficient sedan or mini-van from VillaDirect through Enterprise Rent-A-Car is the smartest option, as it allows you to determine your own schedule and have your own means of transportation when you need it. Full size sedans can be found from as low as $25 a day while a mini-van with room for all the family’s luggage starts around $65. Theme parks can get expensive, but the excitement in Orlando doesn’t stop at Disney World. There is a wealth of fun things to do that won’t cost you a dime, from visiting the new Disney Springs Marketplace & Boardwalk to hiking through Wekiwa State Park. There are also several museums, more nature parks and shopping destinations that offer free access. Introduce some variety into your vacation and save money by looking for free things to do during your stay. Any shopper looking to save money on all the top brands would be wise to take advantage while in Orlando. Orlando’s International Premium Outlets has two locations in the area, one on International Drive and the other on Vineland Avenue. Both offer rock bottom prices up to 65% off on premium brands like Coach, Cole Haan, J. Crew, Kenneth Cole, Lacoste, Michael Kors, Neiman Marcus and others, so not only will you go home with great vacation memories, you’ll bring along your favorite merchandise as well.